Lost files can usually be recovered—if you discover the loss soon enough. But every time you write to the hard drive, you lower the likelihood of a successful recovery. So use that computer as little as possible when you want to recover lost files unless you’ve given up hope. There is a little chance that you placed the lost file somewhere else, but you are not sure where. In that case you will have to search the whole computer. With Wise Jet Search you can find any file in your computer unless the file is hidden or in the Recycle Bin. 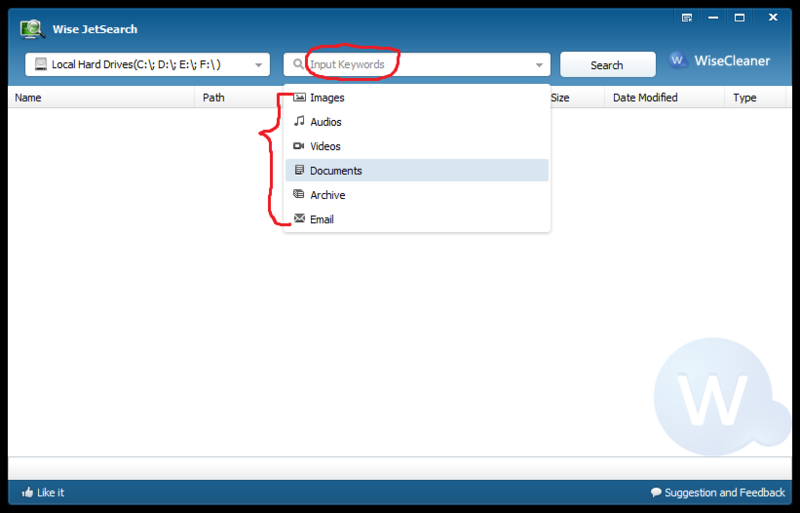 Users can also choose the file type or type in the keywords to narrow down the search. If you can’t find, read on. Windows stores “deleted” files here as a safety measure. You’ll find the icon in the upper-left corner of your screen. if you find the files there, select them, right-click them, and choose Restore. If you back up your hard drive—or at least your libraries—on a regular basis, your files are probably preserved there. I don’t know which backup program you use, so I can’t tell you exactly how to search for and recover the files. It’s generally a pretty intuitive process. And if you don’t back up, maybe it’s time to get into the habit. It won’t help you this time, but it could the next. Even a file that’s no longer in the Recycle Bin may still exist. Windows doesn’t overwrite the actual ones and zeros until another file needs the drive space. That’s why I told you to avoid using the PC as much as possible. There are several good file recovery programs available. I recommend Wise Data Recovery. 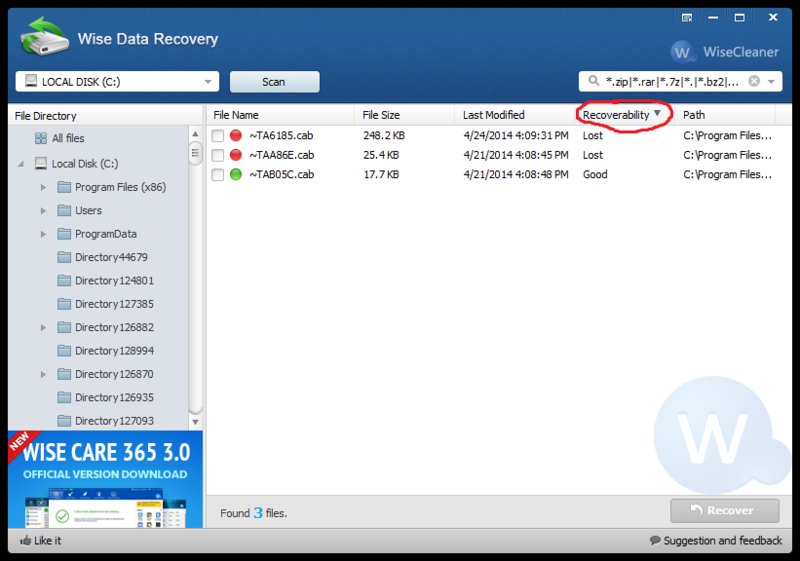 It’s easy to use and has a recoverability analysis feature showing users how likely they are going to recover the deleted or lost file. And it also has a portable version, which means that you don’t have to install it, you can use it on your PC without writing to the hard drive. Download the program on another computer, and unzip it to a folder on a flash drive. Then plug the flash drive into the PC with the missing files, and run it from there. This is the last resort, if none of the above suggestions work. There are many data recovery services available, and since your drive is still working, you probably don’t need one of the more expensive ones. When the user performs the action "shift + delete" to remove the files, it also bypasses the recycle bin. At this stage Operating System of windows does not provide any option to restore deleted files and folders from storage media devices. The file can no longer be recovered by the Windows. But actually, the content of the file remains inactive on the drive or we can say relatively intact until the section of the drive it occupies is overwritten by another file.